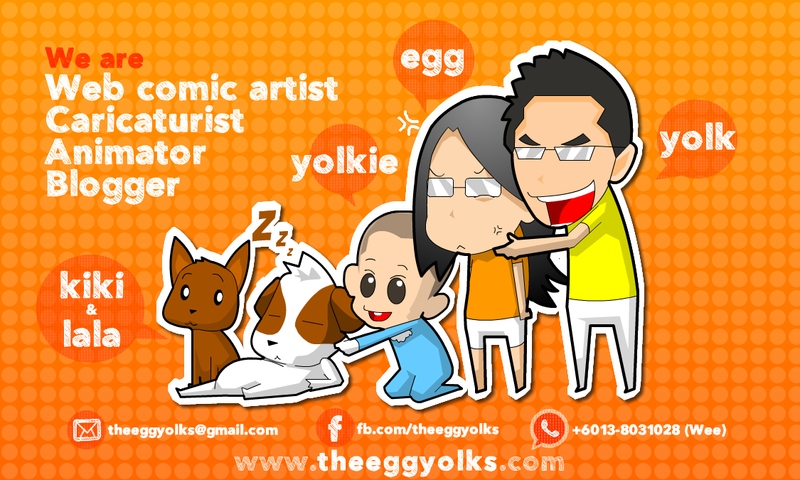 THEEGGYOLKS 蛋黃打点滴: Malaysia Day Comic Bloggers Unite! 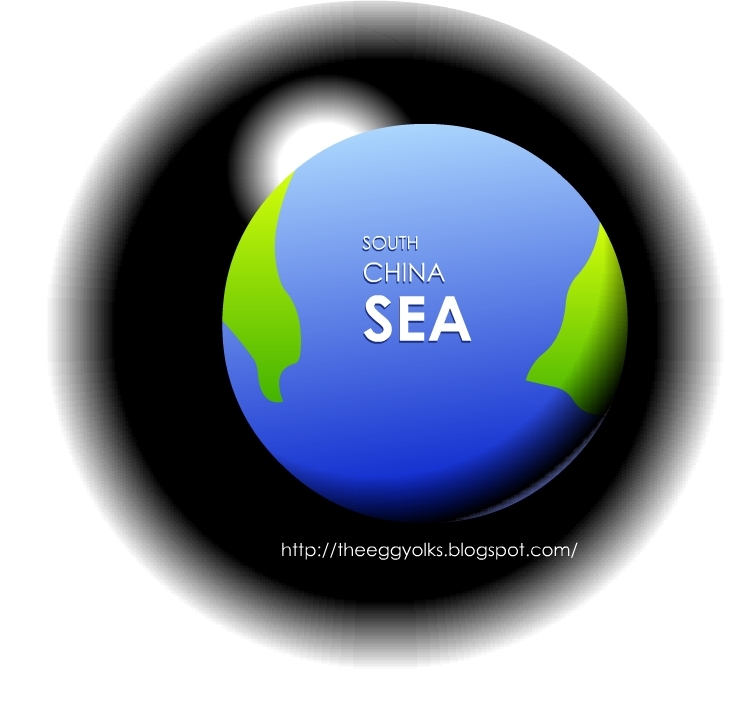 We were being separated for over a million of years by the great South China Sea but in 16th September 1963, we were united as one. 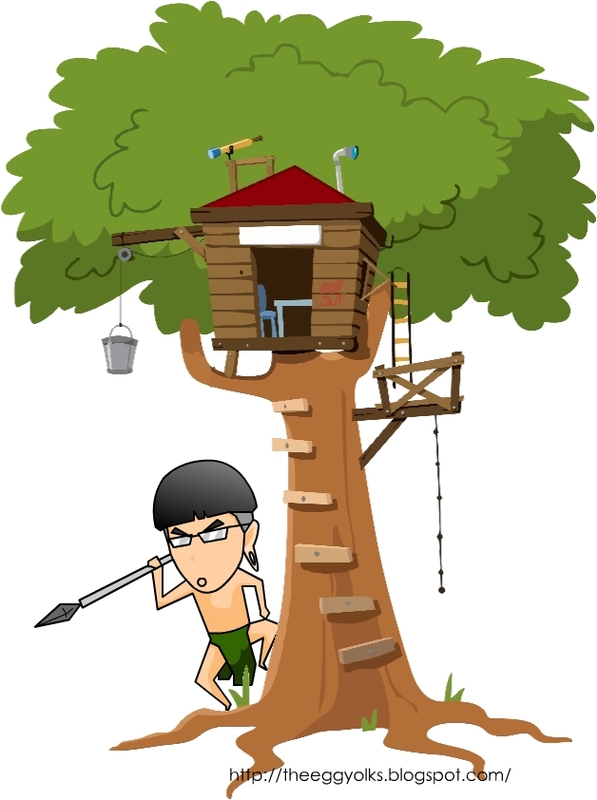 After 48 years, we no longer lived on trees or hunting people's head . We lived in concrete walls like everyone else. We drove cars on tar roads like everywhere else. We prosper together through the hard works of ourselves. Today is the day that we celebrate our Malaysia day where all Malaysians are united as one. Do not ask where are you from or which "bangsa" are you. We are all Malaysians from Malaysia! 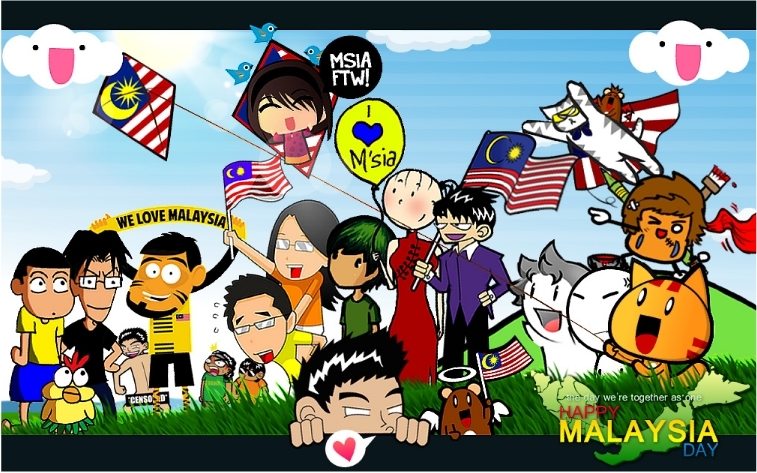 As to celebrate this meaningful day (especially for Sarawakian and Sabahan), WE (Malaysia’s Comic&Doodle Bloggers) have decided to created our very 1st MCA (massive collaboration artwork) and present it to all the people in Malaysia. 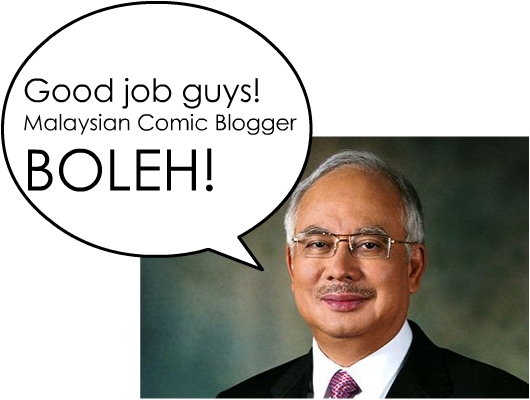 I personally hope that our Prime Minister Dato' Sri Haji Mohd Najib bin Tun Haji Abdul Razak will see this as the effort of the new generation bloggers to unite Malaysian as 1 regardless of races and ages.